When there is a long day ahead of transforming a woman into a beautiful bride, I like to be prepared from beginning to end. The day starts at 7 AM when I wake up, work out, and have a healthy breakfast. 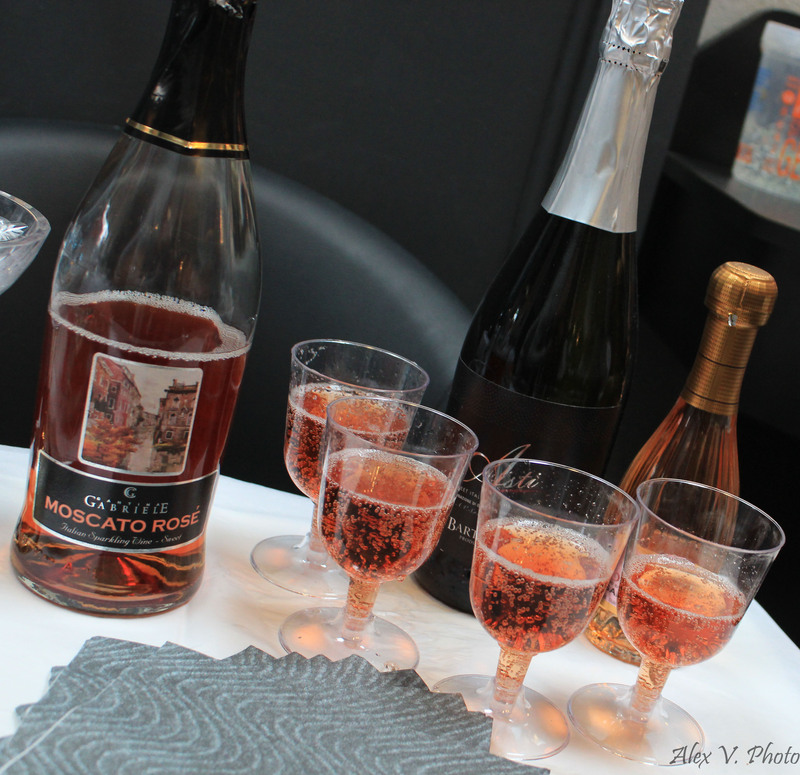 The girls and me get to the salon shortly after and set everything up; from the food, to the beverages, to the champagne. We then set up a little aromatherapy and make sure the music is set and ready to play. We have a meeting discussing our plans for the bridal party and the bride to make sure everything goes off without a hitch. Right before the bridal party arrives, I have a little tradition for myself and my beauty team; we blast the music and dance for a few straight minutes without stopping! (Imagine a little couture zumba) Yep, we get out all the tension for the whole day in those few minutes before we hop into beauty work mode! 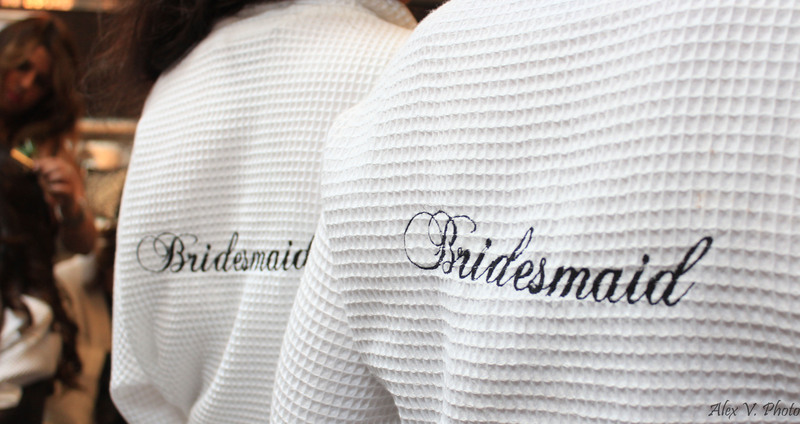 I’ve told you all about the bridal services…By Limor offers; from the use of the salon for the entire bridal party, to the rental of extensions, to the custom robes you and your bridal party get to wear while getting ready, and finally to getting pampered all day long (yes, we come to your wedding hall for touch ups) so your hair and makeup is always in place and so much more. 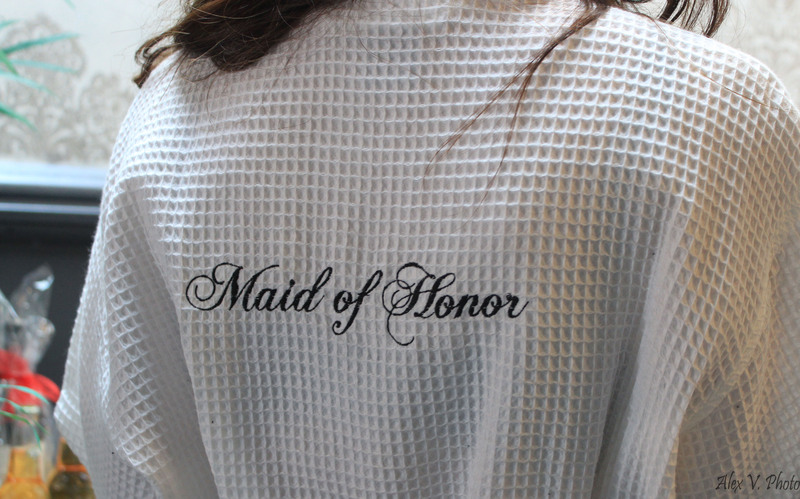 You know that we will steam your dress, help you get it on, all while serving you breakfast or brunch along with a champagne toast. 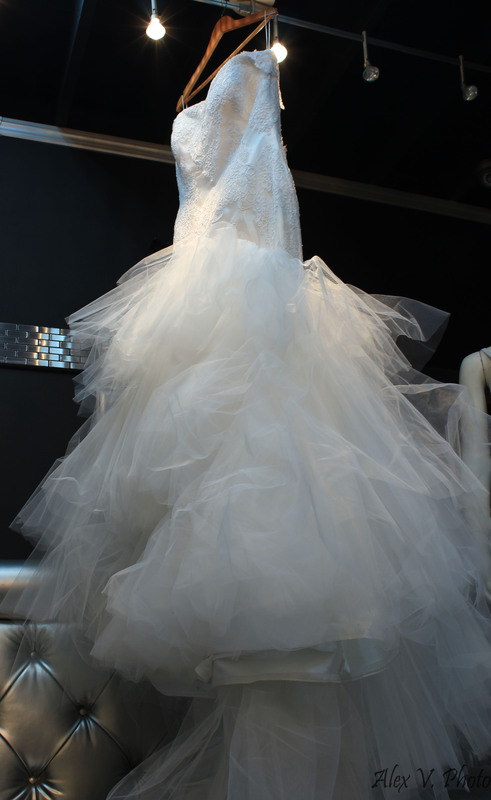 We will do it all along with an amazing team of stylists who are working to make your special day perfect. 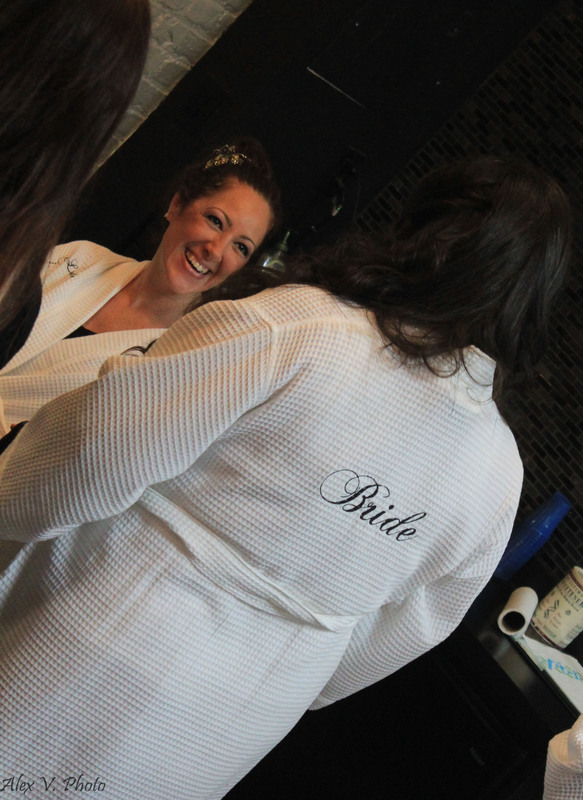 We want to take you inside the salon as we prepared one beautiful bride for her special day. The energy was incredible, the girls were beautiful, and the hair and makeup…well that speaks for itself. 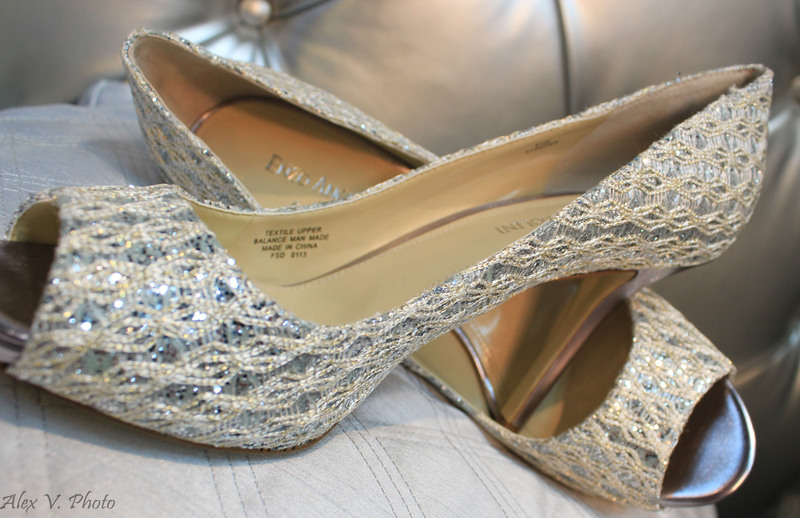 The bride chose our full bridal package in which she brought her gorgeous dress and shoes to the salon to slip into as soon as she was ready. 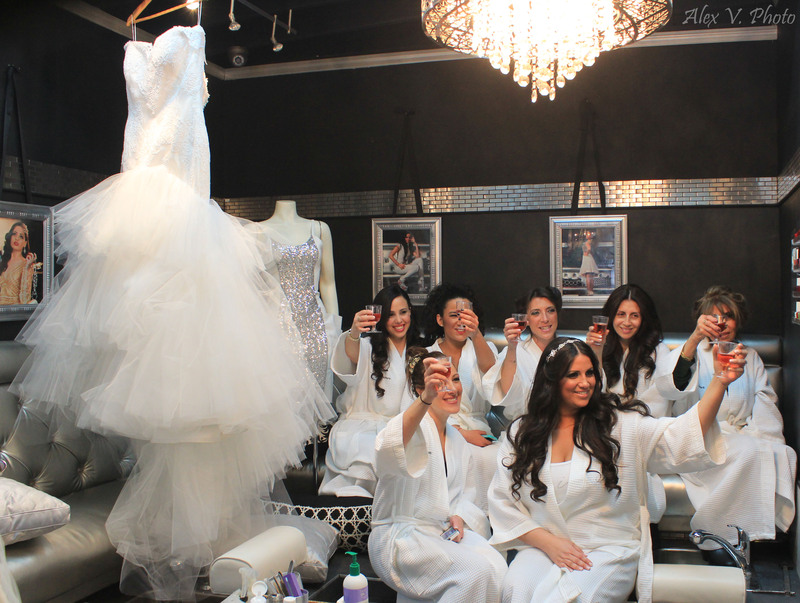 The bridal party was in the salon from beginning to end! Hair and makeup all done and the girls are ready to celebrate with champagne and get the dress on! Snow may still be in the forecast and icy temperatures are still possible for us here on the East coast, but we are already dreaming of summer styles and with summer styles come a few necessary changes to our hair! Ombre hair has been HUGE in the past and it is definitely here to stay! ...By Limor is professionally trained by John Berrett himself and has mastered the technique of ombre coloring to perfection. It is a careful and intricate technique of creating color that blends into your natural hair color creating a fluid gradient of dark to light. Ombre hair looks amazing whether it is curled, braided, blown out, or wavy. The gradient color scheme also adds definition and life to the hair. 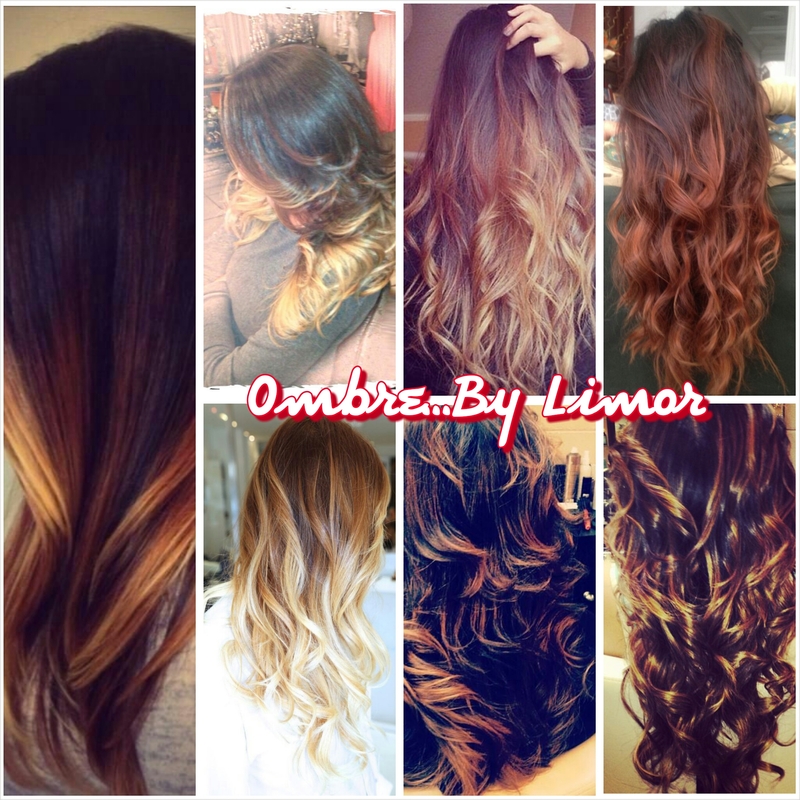 …By Limor is at your service to create a custom, one of a kind ombre look. Consultations are available and extensions coloring is also available. Message on our Facebook page or send a direct message on Twitter. You can also book an appointment on Vagaro or call 347-782-6394. We want to welcome Jennifer, the newest member to join the team at …By Limor! 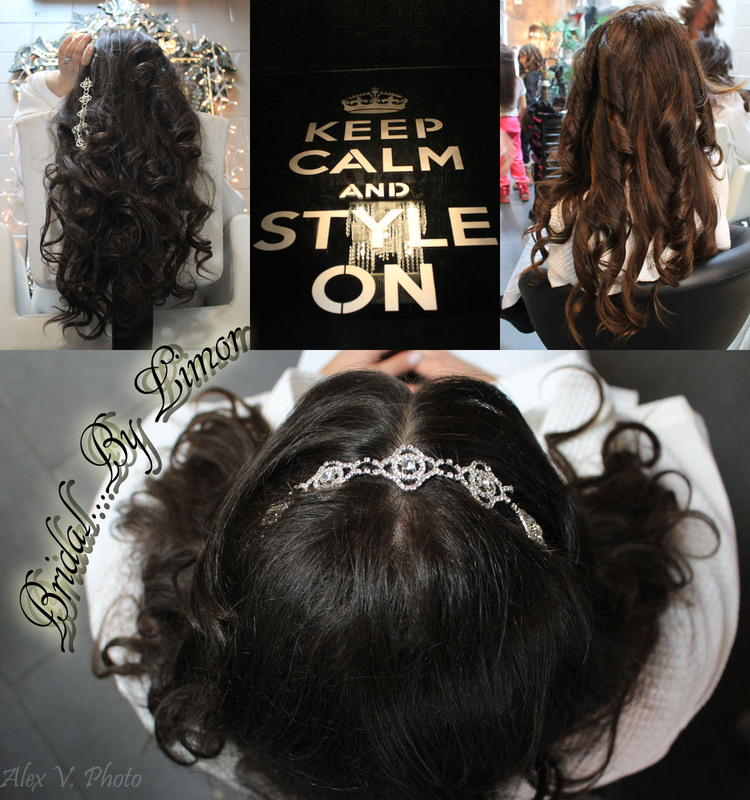 She is professionally trained and licensed and has worked with the top salons in Israel. Her work speaks for itself and we want you to be part of her welcome at …By Limor. For a limited time, we are giving our beauties the promotion of a lifetime! Come see Jennifer and pay only $20 for a wash and blow-dry, yes only $20 for a beautiful blowout! Message me on Facebook or Twitter to book your appointment today!